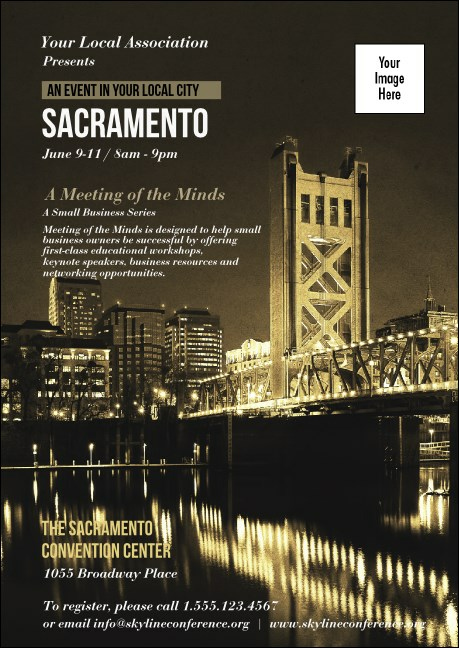 Start a gold rush for your next event in the Most Diverse City in America with the Sacramento Postcard. Printed on high quality card stock, the postcard has plenty of room for all your event details, with the impressive Sacto skyline lights and Tower Bridge featured. Combine with a Sacramento Event Kit for your promotional event needs. Send the right message with the right postcard from TicketPrinting.com.